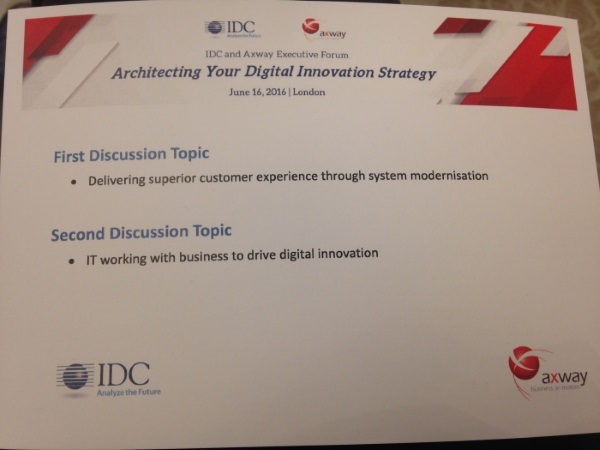 Today, I decided to take some time reviewing the open discussion topics we had with the audience at our last IDC and Axway Executive Forum. Groups were built and two topics were presented to them to get their personal thoughts. Each group had 20 minutes to think of every topic and write a summary on their paperboard. Then, each group presented their findings to the whole audience. 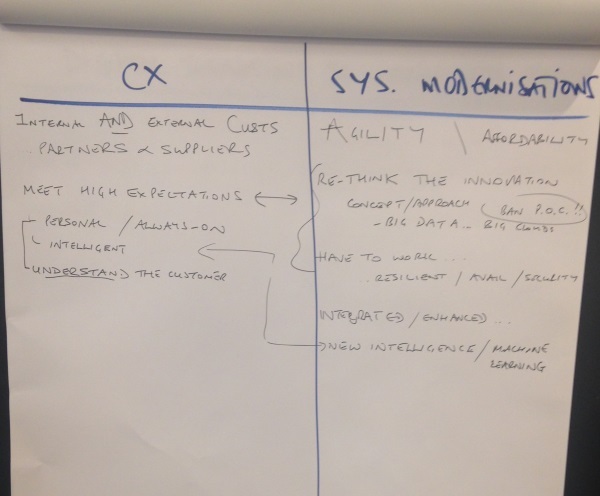 a/What does superior Customer Experience (CX) look like? Those bring agility, allow to keep up with the pace of change and are affordable technologies. a/What is your primary focus/goal for digital innovation? 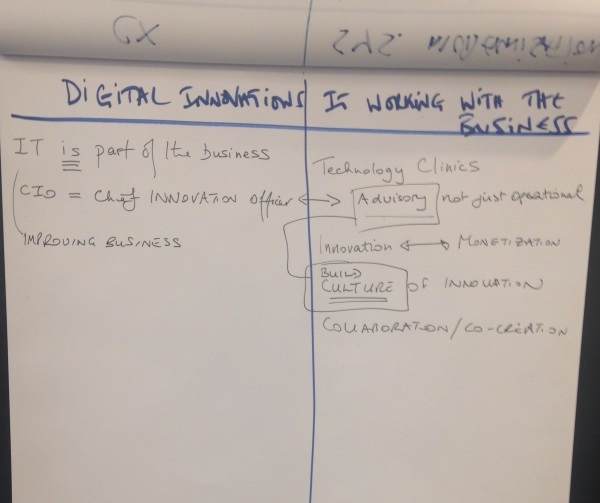 IDC concluded this very interesting brainstorming session with a summary. Regarding the Customer Experience, this encompasses internal and external customers, partners and suppliers. The goal of a good CX is to meet higher expectations: personal, always-on, intelligent and able to understand individual customer needs. For that, systems need to be modernized to gain in agility and affordability. IT departments need to rethink the innovation concept/approach and leverage the big data technology and the Cloud infrastructure. With agility in the technology and in the processes, no more need for complex POCs, users simply need to activate an account on a SaaS solution and test it. 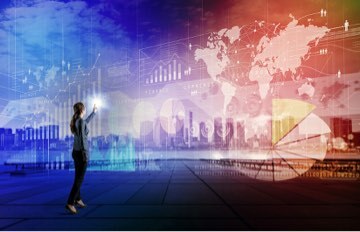 Regarding the primary goal of digital innovation and the relationship between IT and business, IT is part of the business and the CIO (Chief Digital Officer) role helps improve the business. His role is not just operational but advisory. He helps build a culture of innovation and foster collaboration/co-creation within the organization. An innovation lab is mandatory and helps test modern technology and foster new ideas that can then be shared with business colleagues to create business value out of them. 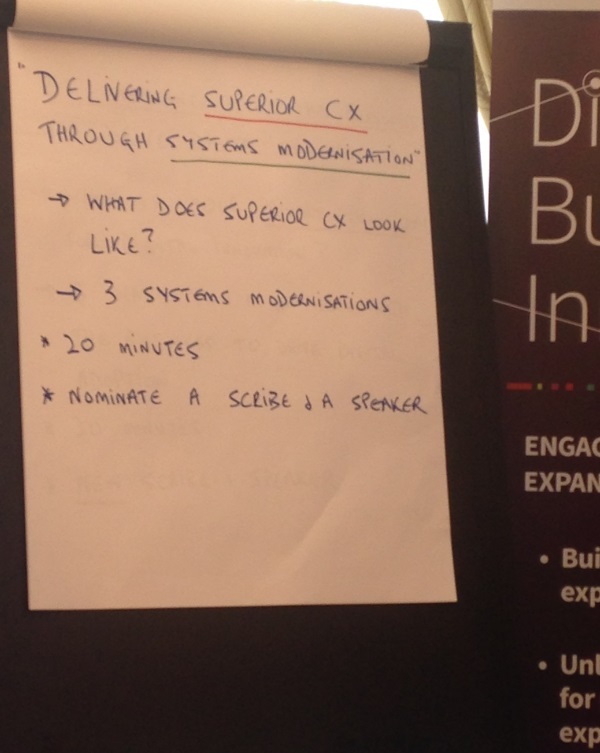 Read all about customer experience through innovation here. Next articleDid you miss Axway Spark?